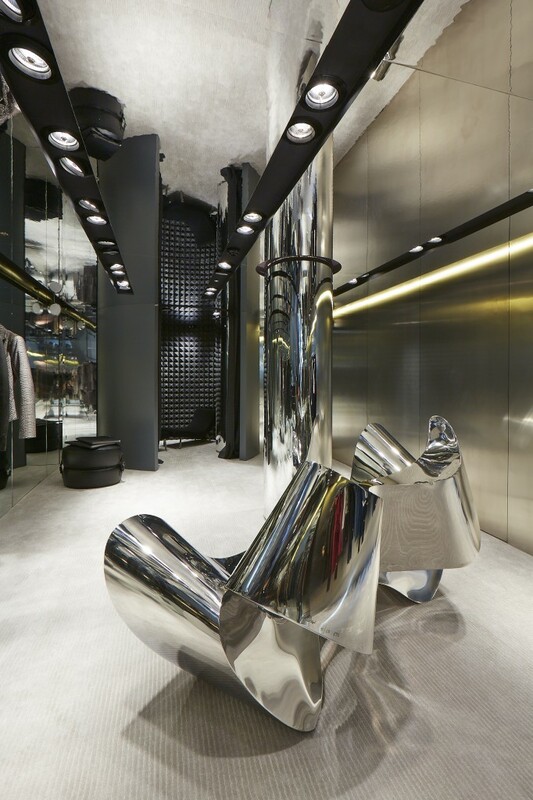 The Sloane St boutique underwent a refurbishment and re-brand to embody the modern Jitrois aesthetic, “We wanted to represent the allure of the essence of night” – Jean Claude Jitrois. 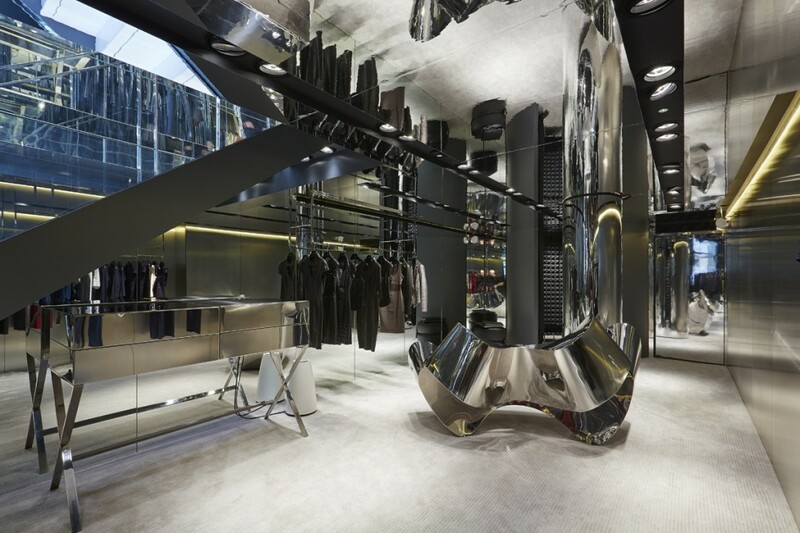 The dramatic restyling involved the use of entirely LED light fittings by into. 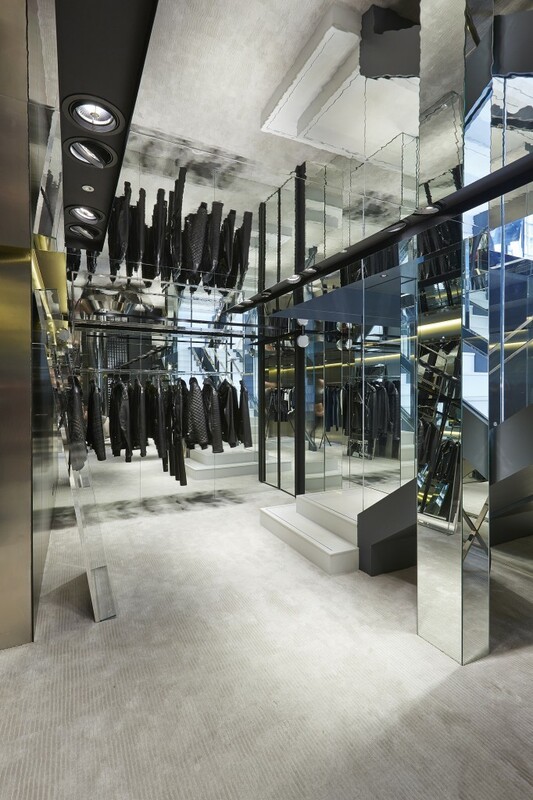 Lighting is kept minimal in a space with mirrored walls and ceiling. Main lighting is concealed on tracks mounted into ceiling troughs. 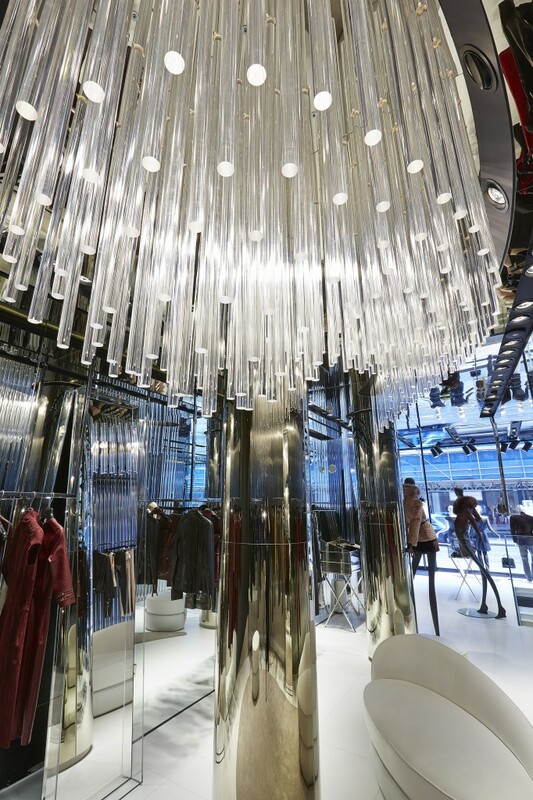 Warm white LED gimbals line the trough which curves round a perspex drop-rod chandelier at the rear, creating a stunning centre piece that draws the consumer through the store. An inner-circle trough runs round the top with fittings angled to shine light through the rods. 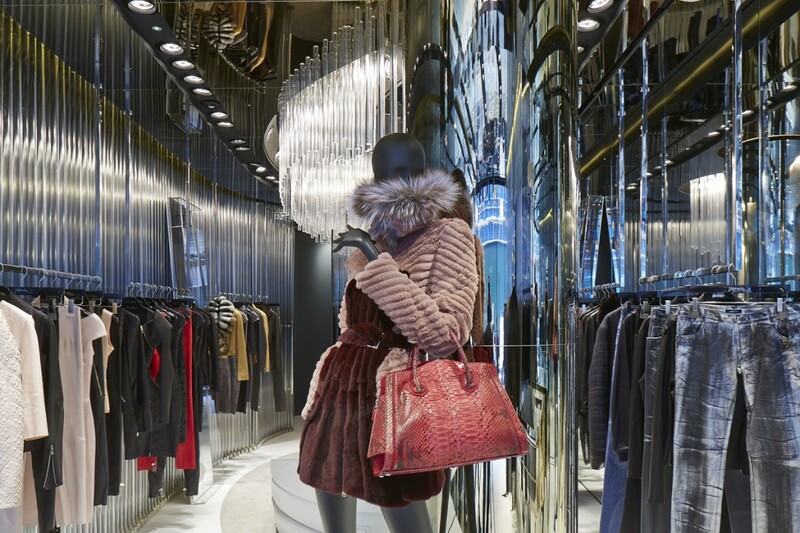 The basement space includes linear LED detailing in wall details for added light in a naturally dark space, emitting a warm hue and creating an inviting shopping experience. 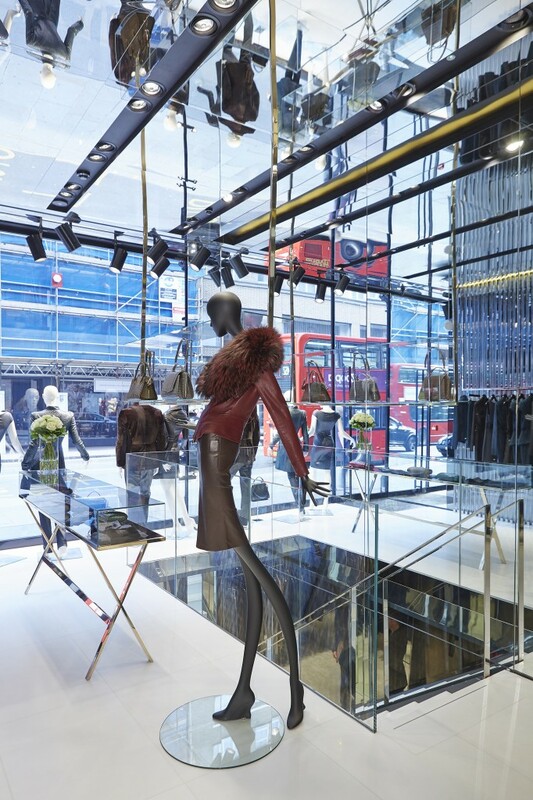 The interior retail space has a 100% LED lighting scheme, the only use of halogen is sparingly in the window display area. 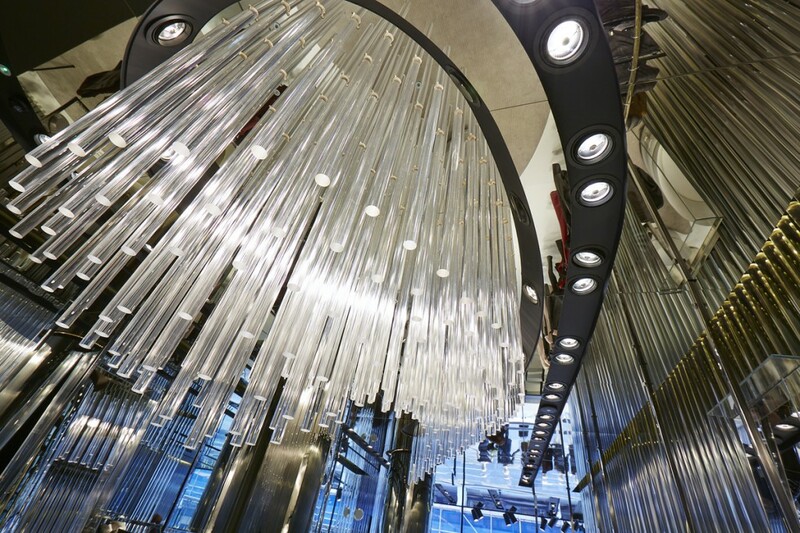 It is not often that a retailer chooses to refurbish and convert lighting almost entirely to this source. 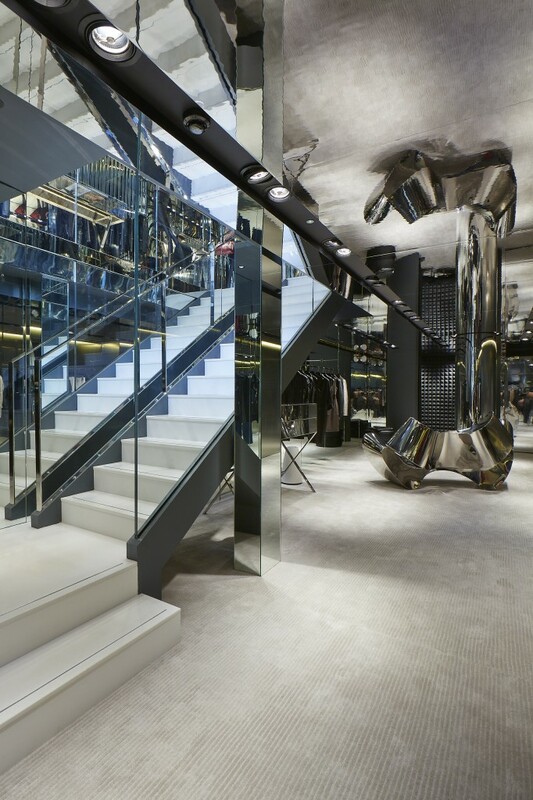 And the use of LED means heat control, lighting maintenance and running costs are minimised.